Did you start off in the studio or live sound? A little bit of both. I grew up with a strong group of mentors in the live sound world ranging from a drama teacher to local bands. At a younger age, I started working on projects ranging from film and animation to regional sound at city events. How would you contrast and compare studio and live? A challenge in live sound that does not exist in the studio, besides the physical labor involved, is tuning the room and environments that live sound takes place in. On a quiet show such as Norah Jones, often a theater, there is a lot of potential for interaction between the microphones and the sound system — basically, gain before feedback. Some of my gain structure and EQ choices have to be a compromise between reproducing the exact source or a perception of that source. The biggest advantage of sharing my tools between live and studio is the learning and experience curve. In reality, we only get so many opportunities to really put the tools to test. Now I can apply experience in both environments, because the toolkit is the same. The last time I tech’ed an analog desk on a tour was 2003. I started using Yamaha digital consoles in 1996. Digidesign Venue consoles entered into my world in 2006. I still use analog consoles every now and again. What differences are there between the two? The advantage for me in the digital world is programming, automation, routing, and patching. Routing busses, multiple inputs, and inserts have evolved into a level of complexity that we’ve only ever been able to enjoy in a studio with a healthy patch bay. Creatively, now I can change my mind, try different things without sourcing the physical infrastructure usually required — and then easily take it with me without having to reinvent it. And I enjoy the ability to re-organize the desk, without losing settings. When did you find out about Waves? I first discovered Waves when visiting a friend’s studio, where I took notice and began to see it more frequently. I am a new user to the Waves brand; I purchased my first Waves product in 2005. I started using Waves processing in the live world in 2007. How does MultiRack fit into your workflow? Since 2007, I’ve come to rely on Waves plugins in all aspects of my work. As soon as MultiRack was available to me, I started to approach all of my short-term and one-off work differently by requesting consoles, computers, and interfaces that would allow me to use Waves plugins instead of analog processing. This has mostly affected my travel baggage weight and mix position footprints. What are some of MultiRack’s other benefits? MultiRack helps keep my workflow consistent. Working in the music world with a specific artist, I can now keep my vocal processing chain consistent no matter what console, digital or analog. Overall, I can use reverbs and EQs that I like on a regular basis. Now it costs me nothing to take my processing rack with me – even accidentally or on vacation. Do you find latency to be an issue? How do you deal with it? Latency with MultiRack can be an issue with vocals, when used in monitor world with certain interfaces. I’ve been able to use as many plugins as the computer processor would allow. I have had to keep the buffer size small as the larger sizes do increase the latency, which mostly bothers me when dialing in FX and so forth in the headphones. In general, it has not been a problem at FOH as long as there is not already a bunch of time/latency already in the system, such as with a very old digital crossover or an over-engineered install. C4, Z-Noise, Renaissance Reverb, MaxxBass, C1... My favorite plug-in should be plugin C4 because of the ability to contour the response times of the individual bands. The Restoration bundle has proven indispensable when working with our recorded live tracks. Noise, hums and buzzes are inevitable in the live world; the Waves tools have helped to clean up everything to a level never realized before. 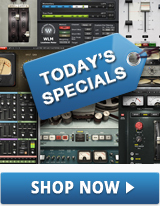 Which plugins do you use for various sources? On Drums: MaxxBass, Kramer PIE Compressor, Renaissance Reverb – I like the sounds and response. I’ve been using the PIE Compressor for my compressed drum group. On Guitars: Renaissance Compressor, PIE Compressor, PS22, Cranesong Phoenix. My current tour already has great guitar sounds, so not much processing is necessary. The plugins I’ve listed I use to help me find a place in the mix for everything. Turning mono sources into stereo, creating distinct tone signatures for similar sources, and getting mid-range sources to mix together is a big challenge in a live show. On Vocals: C4, Renaissance Vox, Renaissance Reverb, H-Delay. The C4 on the vocals has proven my favorite plugin of all time when contouring vocals. I use the solo feature of the band pass to help focus on issues just as I would in the studio. Now, if I need to work on the sibilance of the vocal or the low-mid I am a lot more efficient having band passes available with the push of one button. I use Renaissance Reverb and H-Delay because they sound great. Their parameters are efficiently mapped to the control surface making operation just outright enjoyable. On Bass: MaxxBass, C4 – Every venue is different. There is no perfect system tuning for a room that works for every show. You can’t fix problems in a mix with system tuning either. So having the ability with C4 to contour the threshold and release times makes system tuning easier, and allows us to use less EQ in the low and sub bands. On Master Outs: Renaissance Compressor, Q10, Brainworx Control V2, V-EQ4. Nothing fancy. Tell us about your signal chain, from the stage mics out to the FOH speakers. We use a diverse selection of microphones ranging from Shure to Neumann. All of our mic pre-amps are the Digidesign D-Show preamps – into the desk through all of the plugs listed, and then out to the PA via either Dolby Lake or Meyer Galileo to Meyer MICA. Most sound companies still drive their PA with analog drive lines, but we are starting to see more and more digital drive lines in the touring world. In a live show, every instrument is important. The focus of the show is on every instrument at one point or another. Finding a place in the mix for every little thing is a challenge. My feelings are that people are there to hear the words and voices first – and then all of the instrumentation. So we spend a lot of time with the vocal coverage throughout a venue. My main goal is to figure out the room, despite whatever problems there are, to deliver our show to every seat as effectively as possible. Some days I use every minute fine-tuning zones and remixing new songs. What advice could you give to a young FOH who wants to move to digital? I would encourage anyone to learn audio fundamentals such as patching, routing, gain structure, and mic technique first and foremost. Digital consoles, infrastructure, and the use of DSP is the future – so if you have not jumped in the cold pool yet, get to it.